The Swing away system is a chair and a table that conacted to each other as one system. he chair and the table are sharing a common leg what allows the chairs to stay above the ground. 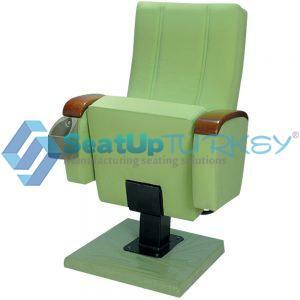 The system is advantage to those who want to achieve tidy class all the time without sound of chairs srouque on the floor and with no need to turn the chairs on the table at the end of the day what is making the cleaning job of the class to be much easier and save man power. 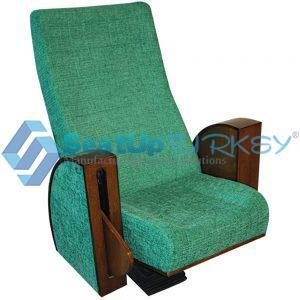 it is a fantastic and new system which we developed based on the common seating system in many of the colleges in USA, there are many options for the chairs that can apply in this system as well for the table shape and color. 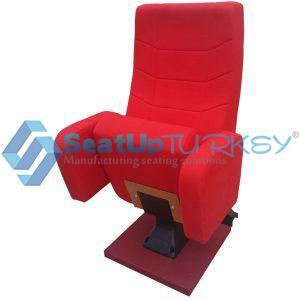 In 1995, our factory and company for Auditorium Seating Solution was founded in Bursa. 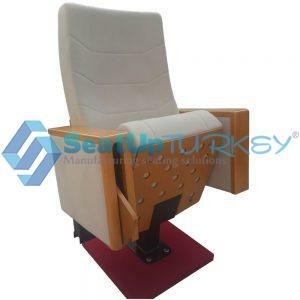 SeatUp Turkey® is an expert factory for high quality Auditorium & Stadium chairs 100% made in Turkey. Seatup Turkey © 2018 All rights reserved. Design: Ajans Bulut.